Scouts Canada: The Accidental Beaver Leader, or How to Become "TicTac" Without Even Trying. 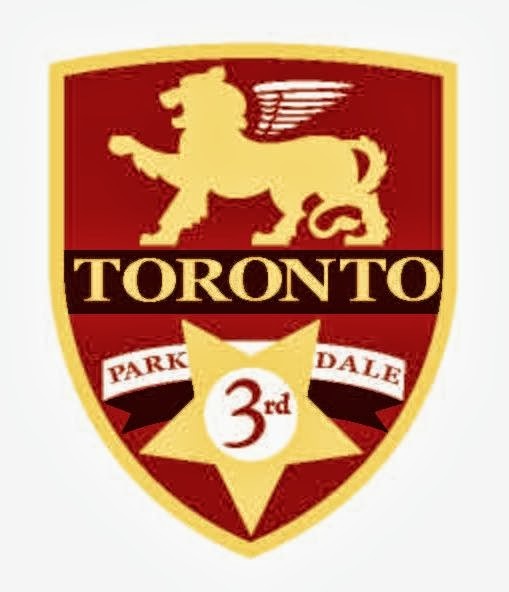 As is mentioned in my “about” section, I am a Scout Leader in my neighbourhood. Dragged into it practically kicking and screaming last year by my hubby, who didn’t want to volunteer alone, I’ve actually come to enjoy it quite a lot! But, like every volunteer organization I’ve ever been part of, there are never enough people to do the work; there’s always something more that needs done, and everyone is pushed to the max so extra tasks end up being sort of…well, assigned. I started out last year as an Assistant Advisor to the Venturer section (kids 14-18) last year, and slowly added on duties as necessary, which included being an Assistant Advisor to the Rover section (18-26), and trying to help out as the Registrar (major fail on my part, sadly, thanks to a bad case of the flu). This year, however, it’s a new ballgame and my volunteerism has been increased by a lot. My friend Kat became the Beaver Section Leader this year due to attrition, even though she had only been an Assistant Beaver Leader for the year prior (and yes, hubby and I sort of dragged/tricked her into the role). We’re not sorry about our finagling her assistance: she is freakin’ amazing with kids! Children just like and trust her automatically, and she has absolutely no fear. Even my nephew as an infant automatically liked her, and will now make a beeline for her and try to crawl up her legs whenever they meet. Now, however, through the well-meaning machinations of Kat and our Group organizer, I seem to have been firmly ensconced into the weekly meetings for the foreseeable future, I have even been bequeathed the title, “Tic-Tac” (one of the Beaver Leader names). There is a lot of shrieking, a lot of running, and what I would call barely-controlled chaos…and that’s just the Leaders (ba DUM-bum!). But I’m hanging in, because Kat needs me, and I don’t mind it too much. I would like my Thursday evenings back, but this is a small price to pay. So far. My favourite part of the whole experience? I swear, it’s making the crafts! Did I not get enough of this when I was a kid? I’m starting to think I was deprived of good crafting sessions when I was young. We research all of the crafts we can do with Beaver-age kids, and I am overcome with a desperate desire to go to dollar stores and BUY ALL THE THINGS! I even have my own Pinterest page up for Scout Crafts, since I’ve found so many awesome resources onsite. So, if I *must* be around lots of screaming kids for a couple of hours a week, well, at least I get to do crafts too. A perfect and recent example? Last night, we found a great cooperative game (beanbag tag) that required several beanbags, one per player. We do not have beanbags; correction – we *didn’t* have beanbags. 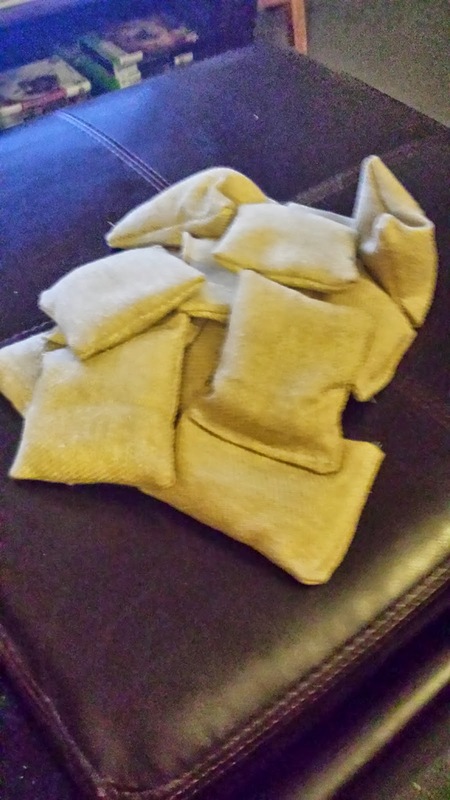 When we decided to do that game for this week’s meeting, I got all enthusiastic, pulled out my sewing machine, grabbed some strong fabric material from my crafting Tickle Trunk (AKA where craft supplies go to die), and Kat and I whipped up a dozen and a half beanbags in about an hour. We only stopped because I ran out of dried navy beans to fill more beanbags with; I’ll pick up some more tomorrow and make half a dozen more just for kicks.